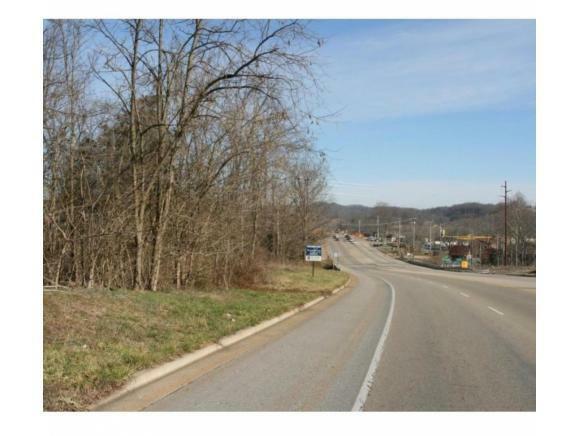 TBD Bobby Hicks Pkwy/Hwy75, Johnson City, TN.| MLS# 393549 | Realty Sales and Rentals LLC is a discount real estate company servicing Northeast Tennessee in residential homes, land, commercial and multifamily apartment sales and property management rentals offering negotiable commissions and outstanding service. ***NEW PRICE***2 AC +/- IN PRIME LOCATION WITH 176FT OF FRONTAGE ON BOBBY HICKS PKWY/FRONTAGE ON CEDAR CREEK RD ALSO TO HELP WITH TRAFFIC FLOW IN AND OUT OF THE BUSINESS. ADDITIONAL HALF ACRE IS NEGOTIABLE. IN VIEW OF HWY 36 INTERSECTION - NEWLY RE-ZONED B-5!!! ANNEXED INTO JOHNSON CITY!!! Bobby Hicks PKWY expansion to Tri-Cities Airport now complete and HWY 36 expansion now underway from this intersection to Boones Creek. This highly visible property with great business potential is available in key locale with double street frontage on Bobby Hicks Hwy 75 and Cedar Creek Road in Gray. Located only minutes from Tri-Cities Regional Airport and I-26, Gray exit. Within view of HWY 36 intersection, this land is priced to sell. City of JC Planning has stated utilities, including sewer, will be provided to property during development (Utility Info must be verified by interested parties with JC Planning office, 423-434-6059) All information, acerage, utility availability must be verified by buyer/agent. Taxes are assessed on full parcel which is split by Hwy 75.